Knuckle Irons™ are the ultimate open palm hand weights. 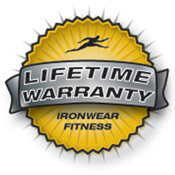 IRONWEAR ™’s patented design provides features unmatched by any other weight. The unique design provides padding to the palm area like a weight lifting glove, but leaves the hand open to hold other things. 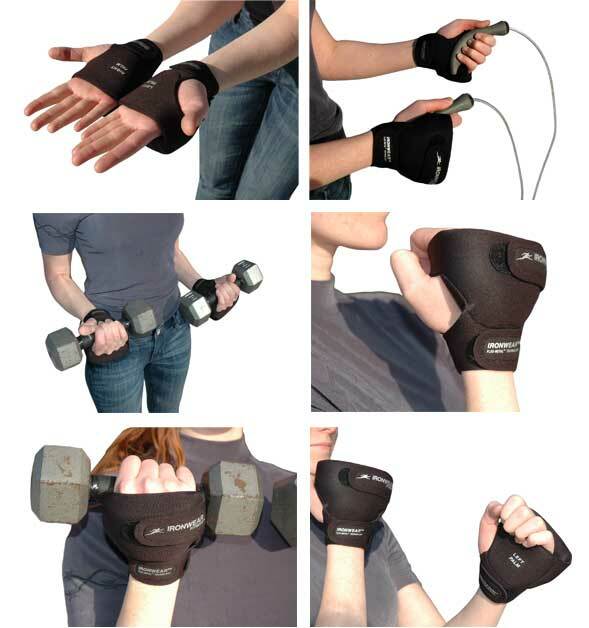 You can workout or play sports while wearing these hand weights. Knuckle Irons™ do not put stress on the fingers or thumb. Other open palm weights put stress between the fingers and thumb, and they leave the area between the fingers open so they do not affect the use of your fingers. Knuckle Irons™ in addition to increasing your arm strength and speed, cause your heart to pump more blood to a larger number of muscle groups during aerobic exercises and therefore can help to improve cardiovascular condition, increase stamina, and weight loss. Knuckle Irons™ have a single piece of IRONWEAR ™’s patented Flex-metal™ over the knuckles. The weight moves and flexes with your fingers. The weights does not sag, bulge, shake or spill out like weights made of sand or metal shot. The weights act like padding and do not bruise, chafe, or block your movements as do weights made of metal bars. Knuckle Irons™ are held securely in place with three adjustable straps: one on the palm and two on the wrist. The unique adjustment straps system allows the weight to fit properly on any size hand. The thin padded open palm permits complete use of the hand and fingers, and allows a tight fist to be formed or the hand to hold objects without interference. Knuckle Irons™ because of their open palm and finger design are the preferred hand weight for training for sports that require complete use of the hands like golf, tennis, basketball, bowling, paint ball, and hockey. 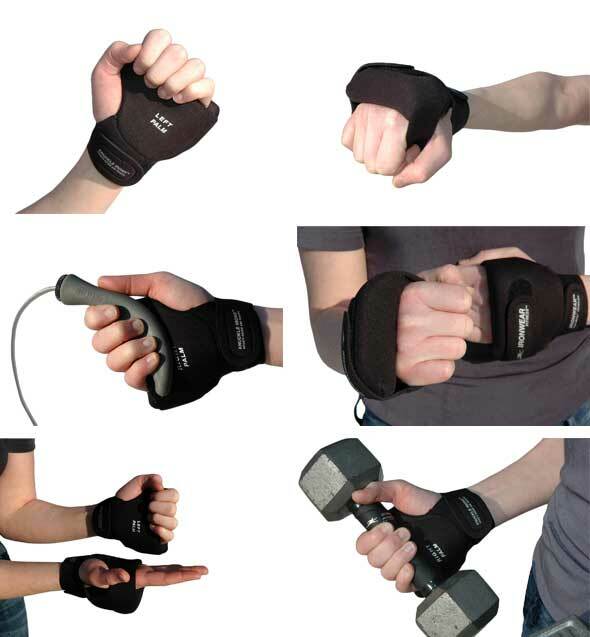 Knuckle Irons™ are also selected by those who need to make a tight fist or grab other items while training, including many doing running, aerobics, boxing training, karate, and kickboxing. No other hand weights measure up to IRONWEAR ™’s patented Knuckle Irons™. Knuckle Irons™ Champion Series are covered by an abrasion resistant padded nylon fabric for maximum durability and are easy to wash.
Knuckle Irons™ are available in 1 pound per hand (2 pound pair) or in 1/2 pound per hand (1 pound pair) and may be worn with Wrist Irons™ or Ankle Wrist Irons™for added weight.